A number of handset manufacturers are now turning white, quite literally. News is coming in that Samsung will be launching the Galaxy Nexus and Nokia will be launching the Lumia 800 in the new white avatar soon. Samsung has made an official announcement about the new colour option via a press release. 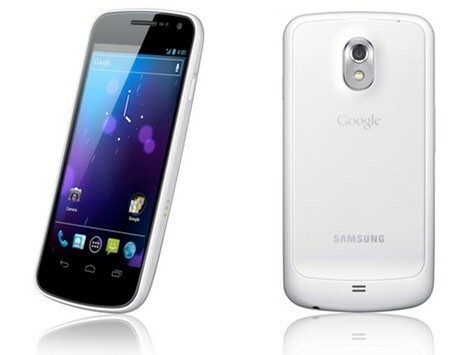 The Galaxy Nexus White will reach stores in the UK on the 13th February. There isn’t a mention about other regions, but we presume that other regions will get it soon. Nokia on the other hand posted this image on their Facebook page. 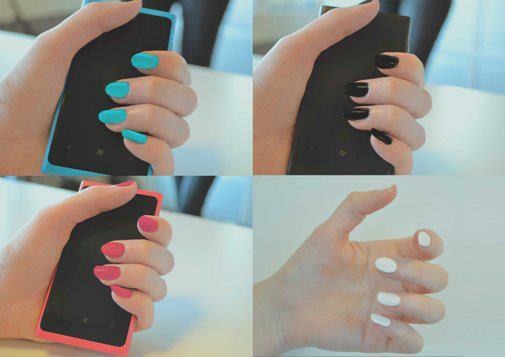 As you can see above in the picture, the nail-paint is same as that of the Lumia 800’s colour. But in the fourth pane, the nail-paint is White in colour but there is no device. So this is a very clever way of Nokia informing us that we can very soon expect a white coloured Lumia 800. Well we have in past seen a render of how the White Lumia 800 could look and it does look awesome. According to The Verge, Nokia has already made an announcement that it does have plans to launch the new colour in February. Also, Slashgear has already got hold of the device and has posted some pics, and handset looks sweet!